Irving Fine died rather young and left a small body of inconsistent work. The best of it is touched by genius and has stayed in limited circulation on the concert stage. Everything has been recorded, in some cases several times. Besides the undeniable quality of his music, Fine also offers a good starting point for considering midcentury composition. 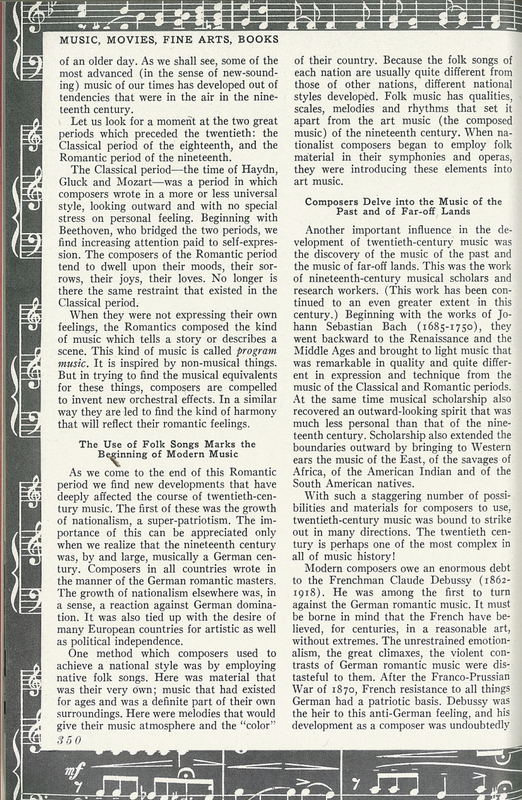 Active from 1942 to 1962, Fine used American rhythms, mastered Neo-Classicism, had easy command of choral texture, and explored the twelve-tone system. It’s easy to understand why Will Robin’s recent centennial piece in the New York Times considers Fine’s milieu almost as much as his music. 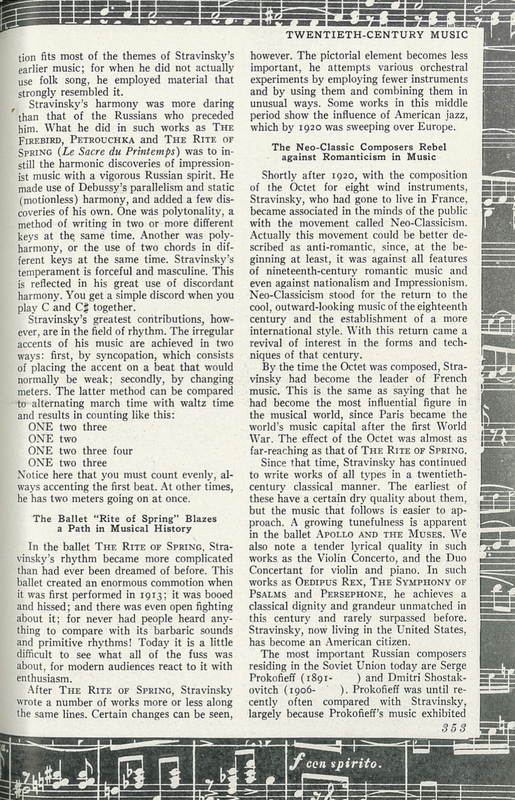 Fine’s biographer, Phillip Ramey, suggests a similar perception by calling his book An American Composer in His Time. If Fine wasn’t quite a major voice, he nevertheless touched on most things within his orbit. 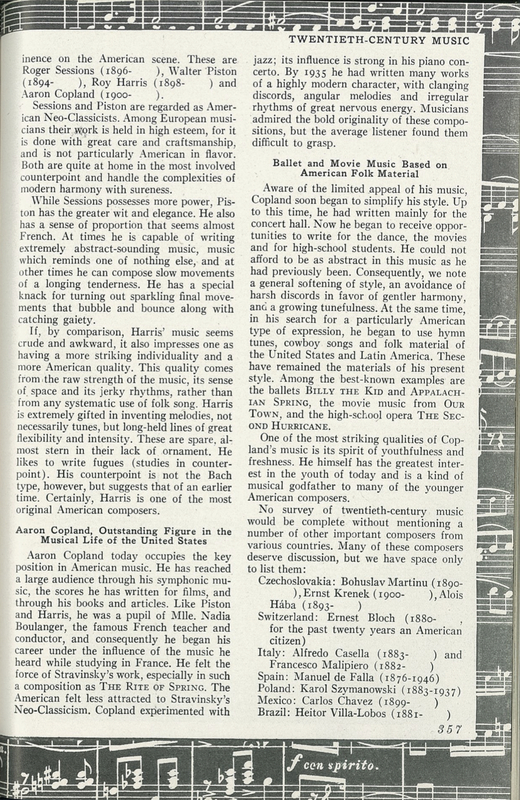 The biography anthologies discerning comments on Fine by Harold Shapero, Richard Wernick, Aaron Copland, Leonard Bernstein, Milton Babbitt, Leon Kirchner, Arthur Berger, and David Diamond. Ramey is an important composer himself and clearly has superb ears. This post was originally planned as a thorough overview, but now I advise those wanting to immerse themselves in Fine to just go read An American Composer in His Time. 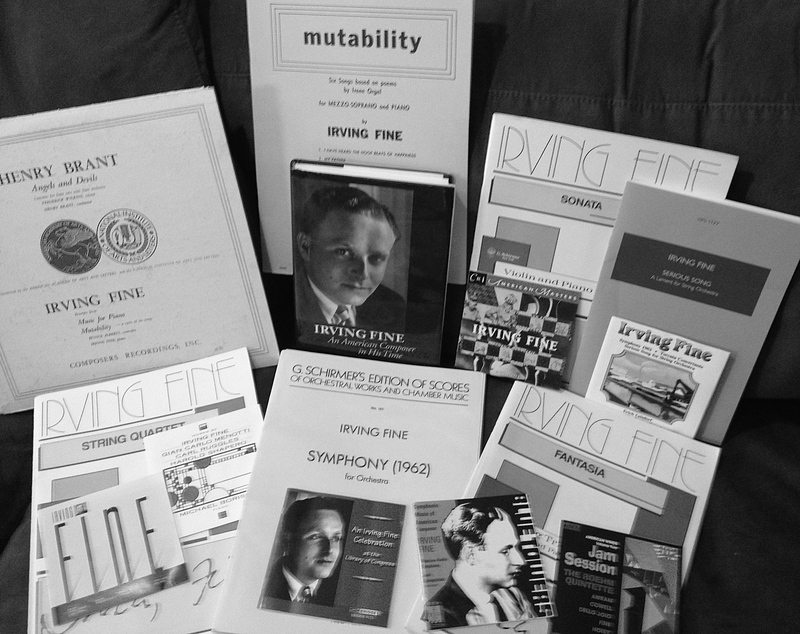 Instead, then, for Irving Fine’s 100th birthday, here are a couple of personal anecdotes, a brief overview of the canon, a reprint of his 1948 essay “The Story of Twentieth Century Music,” and my own lo-fi performance of his best piano piece. I always will owe Irving Fine a debt. I was only 19 when my girlfriend got me the job of rehearsal pianist for the Gregg Smith Singers. Reading music was always easy for me but I had almost no experience with classical music in general. The first rehearsal was Stravinsky’s Mass with Robert Craft guest conducting. I liked the Mass and some of the other music the GSS were doing, so I’d practice the parts at night. A few months in, Smith thought he’d try me out on a gig that had proper piano accompaniment. In addition to brand new works by living composers, the concert included one of the GSS signature pieces, The Choral New Yorker by Irving Fine. The Choral New Yorker is made of three comic dances and a final long elegy, all settings of works Fine found in an old collection of poems from The New Yorker. Harmonically and rhythmically it is as if the basic shapes of Stravinsky were given an infusion of Gershwin. The piano part was extremely fun to play and perfect for my abilities at that time. Some of the sounds I discovered in The Choral New Yorker undoubtedly inform my composition and jazz improvisation today. 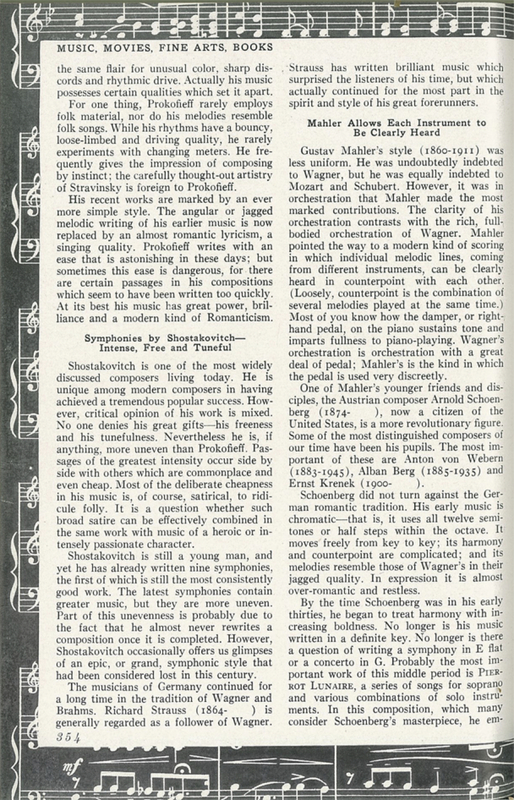 Much later, I stumbled across a CRI compilation of composers at the keyboard that included Fine himself playing the “Waltz-Gavotte” movement from Music for Piano. I was astonished at the confident and musical pianism. The music was good, too, but the playing was really the thing. Rhythmic and elegant; indeed, almost swinging. Unfortunately only one of the other three movements of Music for Piano, the “Variations,” was recorded and has never been reissued on CD. Fine also performs on the rather recondite song cycle Mutability. I’d much rather he had completed Music for Piano! Still, even on Mutability there is real aliveness to Fine’s keyboard artistry. What a shame he didn’t record more as a pianist. The Partita burbles and chortles amongst five happy winds before drawing to a heartfelt close. The Sonata for Violin and Piano is not as well-balanced structurally: unusually for Fine, some ideas wear out their welcome. It’s still worth hearing, as is the Toccata Concertante, a blaze of efficient motion slightly undercut by an overwhelming emphasis on the octatonic scale. 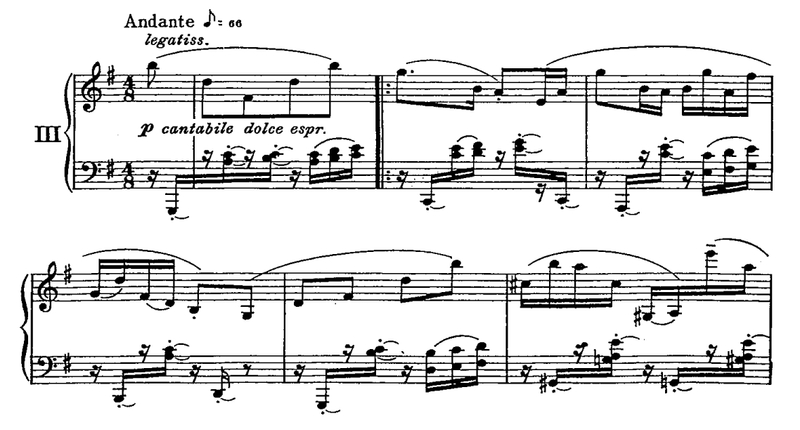 The best parts of the Toccata have an engaging lyric sweep over compelling counterpoint. The Fifties and Sixties instrumental music is less obviously Neo-Classic, instead becoming more lush and romantic or lean and abstract. This is the music that most fascinates scholars and critics, for while its value is obvious it remains curiously hard to assess. The Notturno is a collection of intriguing ideas superbly crafted for string forces. The harp contributes some lovely special effects. 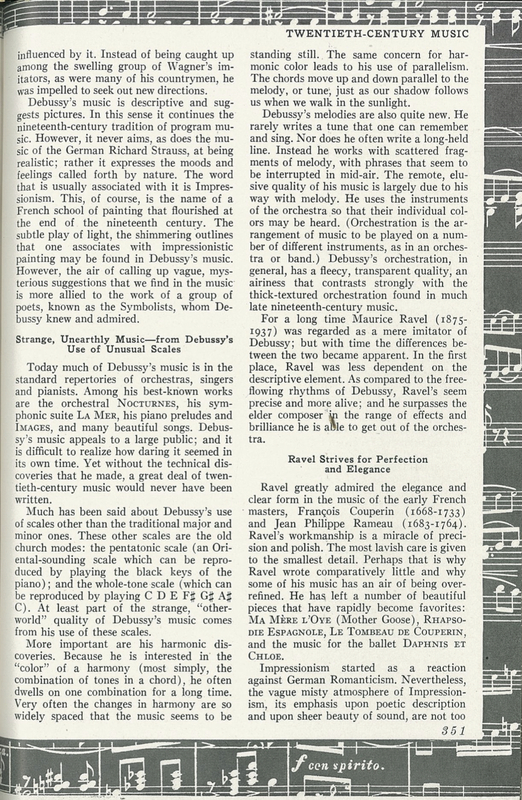 As Ramey notes, we wish that the composer had stayed with his ideas longer, as the result is a bit unfocused. 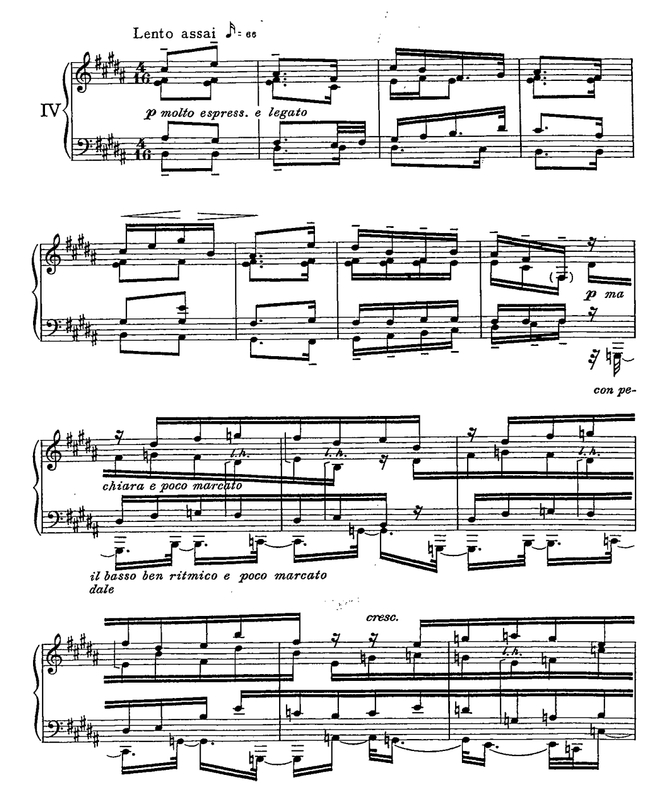 A highlight is the short post-Bartók “Animato,” which shows how well Fine could write fast music. 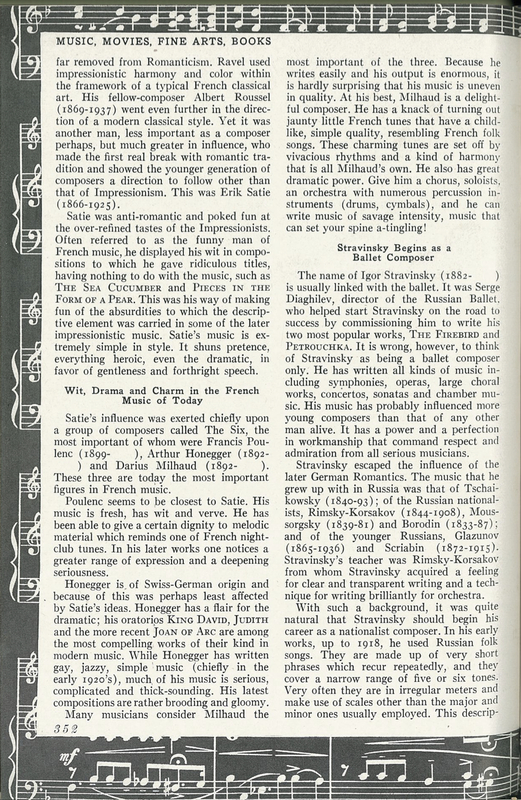 Serious Song is often considered Fine’s best piece overall. The echo of Neo-Classicism informs the counterpoint and structural balance, yet the idiom is quite restrained and specific to this work. If there were a dozen Fine pieces that sounded like Serious Song, he would have a much greater profile today. At the recapitulation, Fine pauses to conjure the most astonishing harmonies in bell-like quarter notes. Ramey singles out the Romanza as, “…one of Fine’s most mature and personal scores.” It has been recorded only once, a strait-laced rendition by the Boehm Quintette. Something more sardonic might need to be present to get the most out of this unusual score. 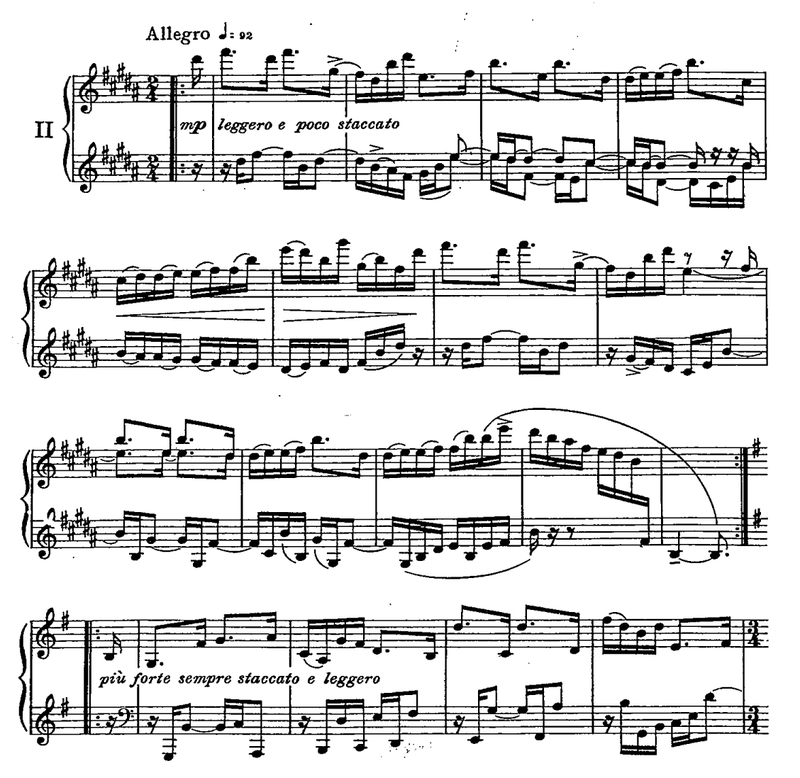 The three major Fifties pieces above essentially use tonal harmony. In three others Fine explored twelve-tone music, in a more obvious yet still personal way. The best of these is the Fantasia for String Trio. Reduced to such a slender frame, the chromatic harmony breathes easily. More than in the other hyper-chromatic pieces, Fine’s gift for melodic shape is unencumbered by dodecaphony. In addition, all three movements are the perfect length. The general flavor is more Bartók than Schoenberg, although Fine’s Neo-Classic heritage has final say. On the last page, the full aggregate is completed over a pure Stravinsky-Boulanger bass. Some find more in the String Quartet and the Symphony than I do. Have a listen and judge for yourself! To me they seem a little underwritten, with less activity than in tonal works like Partita and Serious Song. When considering the density of the harmony, the argument is undercooked or blocky. Once in a while an expressionist gesture will appear as a lonely rather undigested effect. 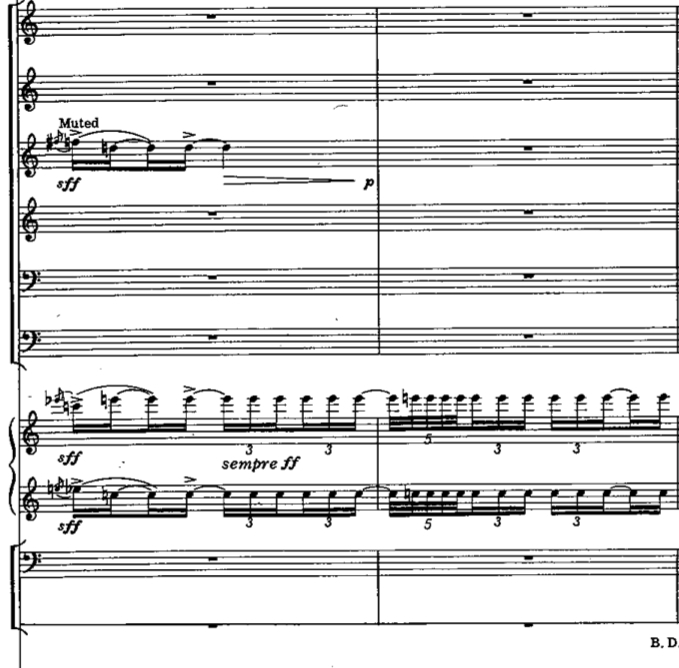 The Symphony has a powerful close, clanging chimes over ground bass, an amplification of the kind of thing Stravinsky worked out in Symphony of Psalms. The recording of Fine conducting the world premiere will always have special weight, for the composer suddenly died eleven days later of a heart attack, only 47 years old. Irving Fine was more tuned to the needs of college choirs than anyone else of his era. As my own experience with the Gregg Smith Singers shows, his popular vocal pieces have done much to keep his name in circulation. Despite their idiomatic excellence, these works are less interesting than Fine’s instrumental music. The most serious is The Hour Glass with texts by Ben Jonson, but perhaps stronger musically overall are the comic pieces Alice in Wonderland, The Choral New Yorker, and McCord’s Menagerie. The song cycle Mutability is intriguingly dense but doesn’t have convincing harmonic tension and release. (Ramey likes it more than I do.) The recording is most notable for Fine’s own piano playing, for unfortunately the singer is below par. The Childhood Fables see steady duty as a lighthearted addition to student recitals. Lesser works include Blue Towers (1959) and Diversions (1959–60), orchestral pops trivia surprisingly close to Prokofiev, and other bits and pieces like the easy piano Hommage à Mozart (1956). All of which will remain relevant as long as anyone takes an interest in American midcentury classical music. 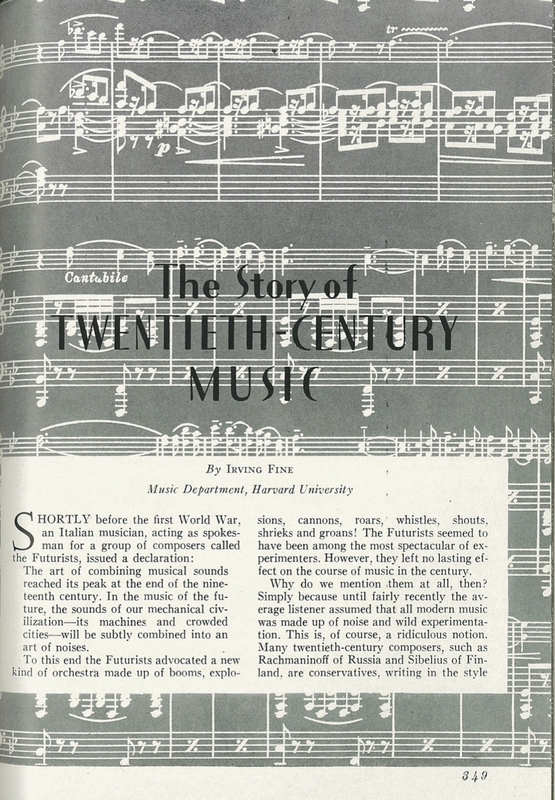 Additionally, he spent “one week of agony” writing a 6,000-word article, “The Story of Twentieth-Century Music”; this would be published by the Grolier Society in 1948 as a chapter in the Book of Knowledge, and he was paid $200, a good fee in those days. I found the book on eBay for $4.99. 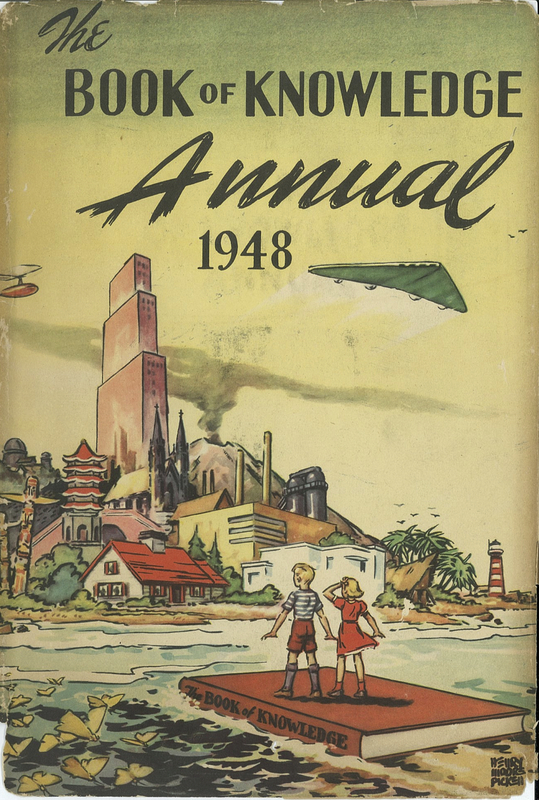 The essay is naturally dated but is still an interesting read. It’s not easy to compress all this information into something for a general audience. As mentioned at the top of the page, Irving Fine recorded the two middle movements of Music for Piano in the early Fifties. As far as I know, the whole set was not committed to disc until 1991, when Michael Boriskin recorded an essential New World recital that includes the three short sonatas by Fine’s great friend Harold Shapero. When considering the whys and wherefores of Boston Neo-Classicism, comparing the Shapero and Fine pieces on Boriskin’s disc is a worthy crucible. There is doubt the Shapero pieces are better music. Honestly, I can’t understand why professional pianists don’t play these tiny masterworks more often, especially the first sonata in D Major. Boriskin clearly listened to Fine’s version of “Waltz-Gavotte” as he emulates some delightful dance rubato not marked in the score. A worthy 2001 recording of Music for Piano by Andrew Willis offers a more overtly passionate perspective than either Boriskin or Fine. Just for fun, here’s my own iPhone tape of the “Variations” from Music for Piano. I made this right before TBP soundcheck at the Oakland jazz club Yoshi’s on December 3rd, 2014, exactly 100 years after Fine’s birth. There are a couple of wrong notes and bit of background noise as the staff sets up the restaurant. 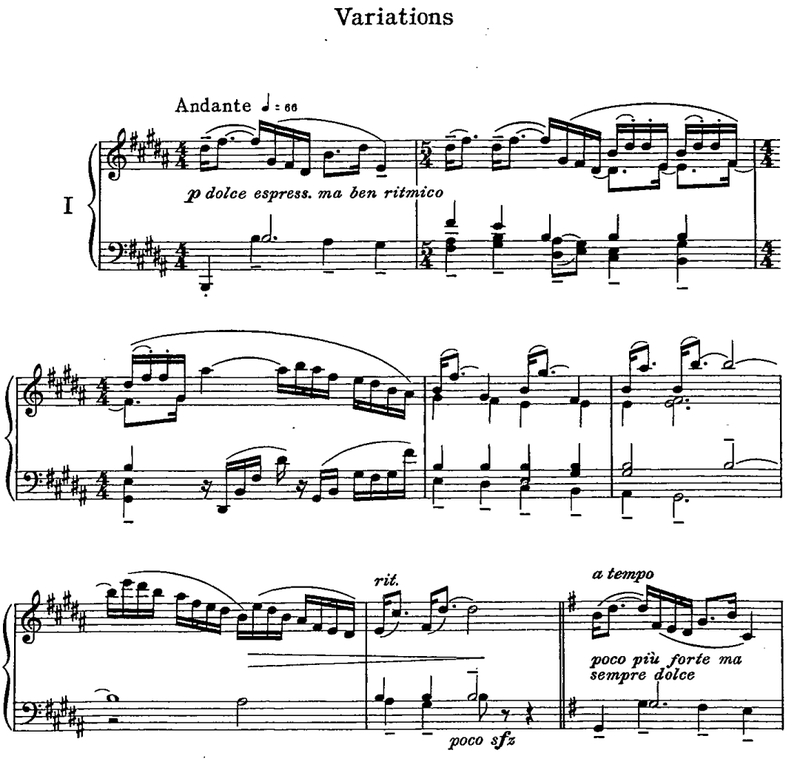 “Variations” is the longest movement of Music for Piano and exhibits all the best qualities of Fine’s Neo-Classic music. It is essentially lyric and utterly diatonic. Indeed, no accidentals are required in the long theme, which moves from B to G to B before ending on an unresolved G-sharp minor. 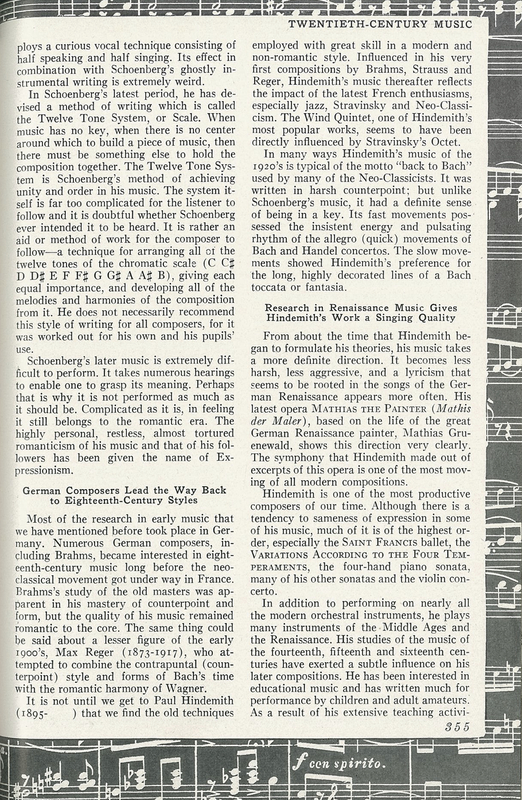 The second section offers the only hint of instrumental brilliance. Perhaps worried about time constraints Fine plays it faster than the metronome mark and muddles it slightly. It still exudes a flair that eludes Boriskin, Willis, and myself. While called “Variations,” this piece feels more like four panels of a painting: the melodic shapes and harmonic coloring are consistent, but there is no conventional varying of a theme over a repeating form. The third section is my favorite. Under the hands, it feels rather like a displaced Chopin nocturne, although Fine’s own performance suggests the less rubato, the better. I love it so much that I ignore the score and repeat the second half as well as the first. In the middle of the final section, Fine comes up with a wide-spaced chorale with syncopated bass line that is utterly original. 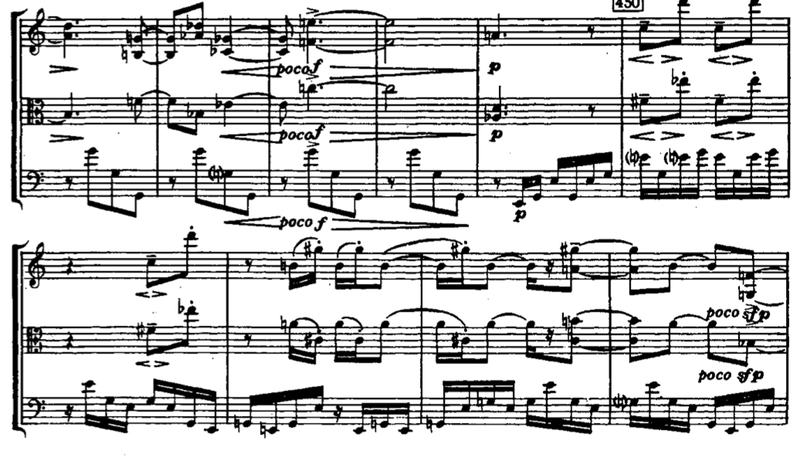 The main part is all in B major, of course, but Fine is careful never to state a clear B harmony, giving it a curiously immobile yet still charismatic harmonic texture. Eventually, that stasis goes all the way to the last bar, for there’s no ending, just a transition to the last movement. Fine plays it that way on his record, leaving the music essentially unfinished (when you don’t go on to the last movement). Would a concluding B chord invalidate the previous “immobility”? Apologies for a sacrilege possibly even worse than adding a repeat to the nocturne: I improvise a final cadence to make “Variations” a standalone piano piece in four complete parts. The CalTrain seems to approve, going by in B right at the end. Or perhaps that was the composer’s shade protesting the intrusion. The Irving Fine Society is run by Nicholas Alexander Brown. Brown has also been in charge of the centennial festivities at the Library of Congress this week. Special note should be made of Brown’s oral histories. Thanks to Brown for his personal encouragement (including sharing some rare documents) while I was working on this post. 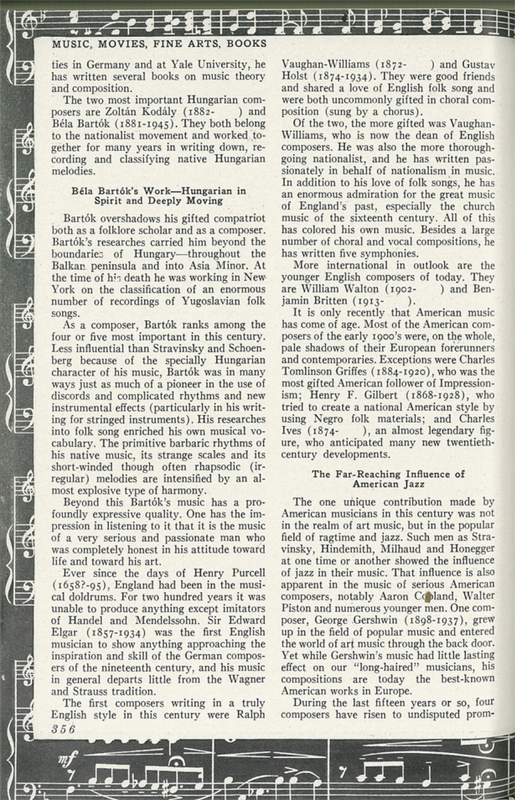 Arthur Berger, another member of Fine’s close circle, penned the valuable Reflections of an American Composer, available online here. There’s not so much about Fine’s music in this book but undoubtedly Berger and Fine shared a lot of the same concerns. I was disappointed by R. James Tobin’s Neoclassical Music in America: Voices of Clarity and Restraint. 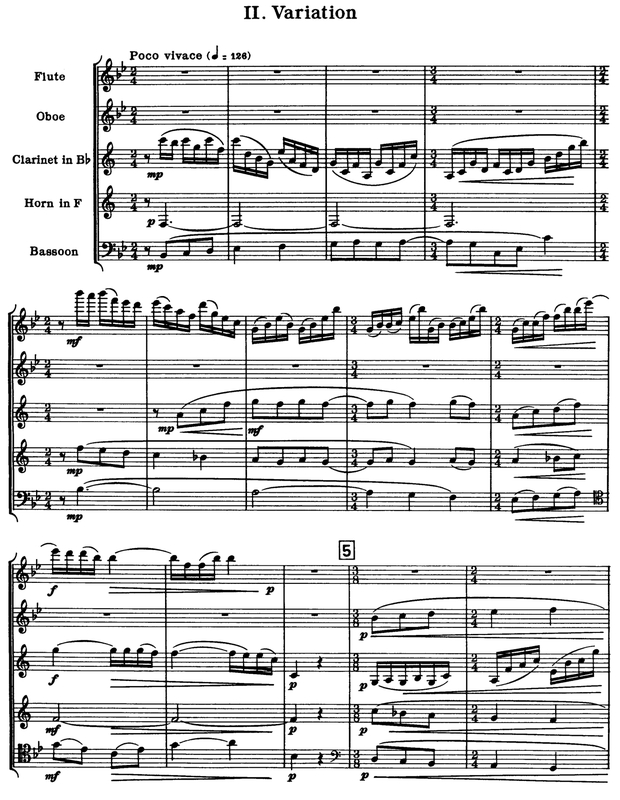 The chapter on Fine is nothing but a synopsis of Ramey, and somehow Tobin thinks the arrangement Music for Orchestra supersedes Music for Piano. I managed to speak with Phillip Ramey briefly last week. Ramey’s book is extremely level-headed, so I was amused to discover that Ramey was a provocative firebrand in conversation. A taste of his personality can be found in Ramey’s terrific interview about his biography of Fine with Frank J. Oteri in NewMusicBox.